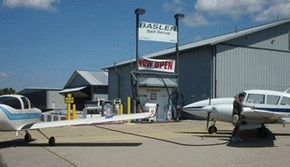 To better serve our customers, Basler Flight Service has added a self-service fueling system for our 100LL customers. 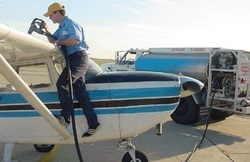 This system is available 24/7, at a significantly reduced price per gallon sure to please those pilots who don't mind pumping their own fuel. Restroom available 24/7 in adjacent hanger. Our self-service location is west of the Basler FBO, right off B-1 taxiway. If you prefer our full-service, line service will continue to be available during regular office hours to serve your aircraft needs. Note: Self Serve CLOSED during AirVenture.